How many of us can remember a time without Sabah? It’s even tough to imagine there was a Lebanon before her. Her outrageous blonde hairdo is as iconic as the cedar on our flag, the hommos plate on our table and the multiple cups of coffee punctuating our day. Sabah is everywhere. In our collective memory of course, but also on the walls of Beirut, on stamps, on bags, and now in an upbeat new ad. 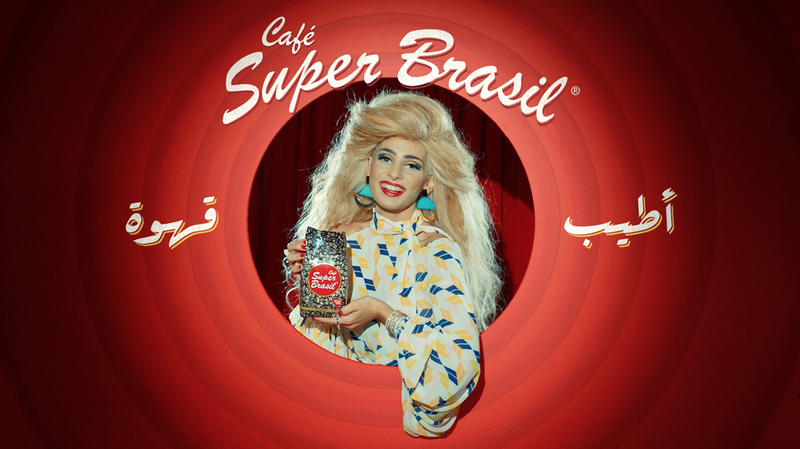 Funny, joyful and colorful, the new Café Super Brasil ad is not only a great tribute to our beloved Sabbouha, but it’s actually a very welcome breath of fresh air in these very depressing times. The ad industry loves its pompous and cheap poetry. It uses it anywhere it can. Almost every product is an excuse to fill our ears with some deep voice reciting silly rhymes and trying to sell us banks, water, alcohol or housing projects. When it doesn’t do that, it features skinny Millennials in loose t-shirts behaving like morons. But today, thanks to ad agency Drive-Densu Beirut and director Chadi Younes, we can escape for a minute or so from pretentious advertising and the gloom of Lebanese daily life into a simpler world full of color, songs and joy. A “cliché Lebanon” perhaps, but a Lebanon that represents the most endearing part of us: our innocence.